If you are a Photoshop CC user you may have updated to the latest 2014.2 version released yesterday that has some minor updates added to it. No major changes noticed so far but here is however an annoyance with the new version – a “welcome” dialogue that appears after a delayed start and stops you from using the program as usual before clicking the thing away. It is possible to turn this off but Adobe has decided to hide this option and not put it on the opening screen (where it belongs). To turn off the welcome dialogue select the “New Features” tab and click the relevant box – you may need to scroll down to the bottom of the dialogue depending on the content of the page you see. Adobe updated a number of their programs on the Creative Cloud yesterday. The new Photoshop CC 2014 installs alongside Photoshop CC and offers to transfer settings from Photoshop CC. Only some setting are transferred across (actions for instance) and others such as interface colour etc are not so be ready to tweak a little. If the worse comes to the worse you still have the older Photoshop CC to go back to so not too bad (and means you can play with the new features without compromising your stable working version). Adobe have taken the opportunity in Lightroom 5.5 to now allow the updating of lightroom from the Creative Cloud Control Panel. Previously Lightroom could only be updated by using the Lightroom program to check for updates and them manually downloading the new version. Unfortunately there appears to be problems with the new form of updating via the CC panel and Lightroom may fail to start when updated in this way. Adobe write some great imaging software but they are really rubbish at building cloud infrastructure. My assertion that Adobe Creative Cloud is not a robust method of delivering critical imaging software still stands. Having used Photoshop CC for a week now I can confirm that there is no real usability advantage in Stock Photography uses over Photoshop CS6. I therefore advise clients not to upgrade to Photoshop CC from Photoshop CS6. Not only will this save you money it will save you a lot of money. I do hope Adobe will come to their senses and reverse the 100%+ increase in pricing for clients who regularly upgrade their software would have to pay in renting CC as well as the fact that stopping renting will leave you without access to your files edited in none destructive ways (layered proprietary files). In the meantime Copyrightimage supports the #adobe2014 campaign, described as “half a plan” in a very pragmatic way it uses the short term reaction by investors against the poor decisions made by the upper management at Adobe as a leveraged way to force change. Let’s keep things in perspective, we just need fair price increases and perpetual licenses so we can keep things real for our own clients. Processing batches of images in Photoshop that stop because of a quick mask? Occasionally when working on an image I forget to delete a quick mask before saving the file. Not too much of a problem most of the time but a real pain if that image is included with hundreds of more images that need to be processed through an action. 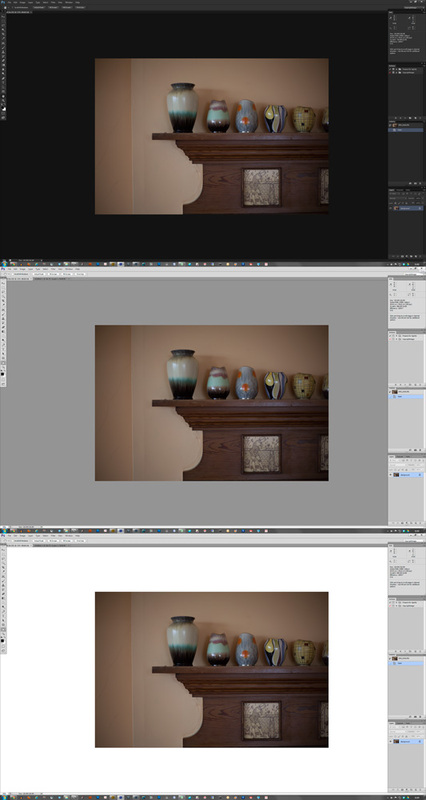 For instance when preparing files for Getty I need to intelligently adjust the output levels using a custom curve . If the action is run on an image with a quick mask it will stop the action. I like to walk away from the computer when processing lots of files so it not good to return and find that a batch of 200 images is only 4 pictures in because of an empty quick mask. 1. Open an image and press the Q key to give it a quick mask. 6. Stop the recording and move the new action step to the top of the action. From now on the action will delete any quick mask layer if there is any, if there isn’t one then it will just fail gracefully and continue. Which image on the left do you prefer? Is it the bright one at the top which appears to have more contrast to either the middle or lower one? Photoshop CS6 ships with the new darker interface colours as standard and as a result of this there will be lots of people disappointed with dark/flat prints from images worked on in CS6. When preparing images from repro I regularly view each image against light grey (default) but also against black then white. Viewing an image against black is a quick way to visually check that shadow areas are not too light or too dark, viewing against white shows how the image will look when surrounded by white paper, this last step is critical in getting a perception as to how the image will look when printed. I suggest you set Photoshop to default to the older light grey interface colour, I know its boring in comparison but your image adjustments will be easier to view. To set the interface colour go to Preferences: Interface and select the lightest grey to the right. If you want to judge shadows then press the F key to switch screen mode and right click on the grey area surrounding the image and select “Black”, to see the image against white press F again and this time select custom colour and choose white (top left hand corner of the colour picker), from now pressing the F key will cycle you through light grey / black / white. (Press the F key till you get back to light grey when your finished). This tip is an example of the kind of practical Photoshop training I give to people who want to work to professional standards, its the kind of tip that is not in the manual but is important if you want to get things right. If you think you would benefit from some one to one training then give me a call. 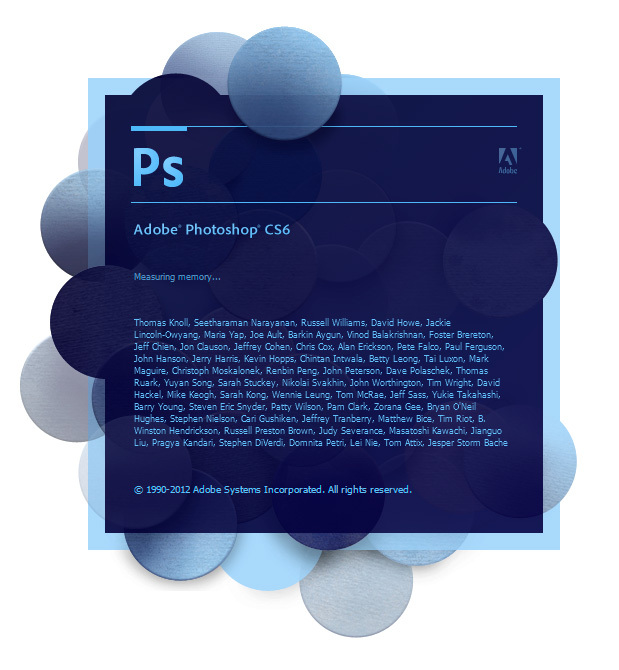 I have just installed Photoshop CS6 from the retail release here at Copyrightimage. 1. If you do have the beta of CS6 already installed then completely uninstall it first before installing the retail code. If you have Photoshop CS5 or earlier installed then dont uninstall it just yet. 2. There is one change since beta that annoys me – when using the zoom tool there are image measurements displayed at the edge of the zoom boundary box. This is very distracting to me, if you also find it annoying then you can turn it off by opening preferences and selecting “none” in the drop down menu of the “Show Transformation Values” in the Options part of the Interface section. I found the beta faster and nicer to use than Photoshop CS5 so Im hoping the retail code hasn’t changed this too much. If you are still using CS4 or earlier it may be time to think about swapping to a 64bit operating system and using CS6 in 64bit mode. Adobe have decided to change the way they release products. Historically they operated a system of 18 months between major releases of the Creative Suite products but have now decided to change this to 24 months with a minor 0.5 release every 12 months. Its all part of a plan to extract more money of course and Adobe have also decided to offer the option of a software rental scheme at the same time that enables you to pay for products on a monthly basis (no pay – no work). Adobe had better get their pricing right on this, they have a reputation for being expensive, if they push too hard then it will be worthwhile for another developer to challenge Adobes monopoly. I’m not keen on monopolies and Adobe have a real monopoly on image editing software.